Vic Bennetts was all smiles as he gave his favourite horse, Belflyer, an affectionate ‘well-done’ pat before a record-breaking crowd at Royal Randwick. Bennetts, 74, straps the Grafton-trained powerhouse that had just sliced through the wet conditions to claim the initial $1.3 million The Kosciuszko. A great mate of trainer John Shelton, Bennetts is an ex-professional golfer – and a darn good one at that! “I started playing golf as a five-year-old as we lived nearby Moore Park Golf Course,” Bennetts recalled. “I won three State Junior Championships before turning professional at 23. Bennetts defeated a pretty handy field that included the legendary Kel Nagle who finished equal second, three shots astern. Kel Nagle won at least one tournament each year from 1949 to 1975 and famously defeated the great Arnold Palmer by a stroke in the 1960 British Open: “Kel’s son, Colin, passes through every now and then and pops in a for a beer,” Bennetts said. Bennetts competed on the pro circuit for six years but had a wrist problem that slowed him down. He then took up the teaching role at Royal Sydney for more than a decade prior to relocating to Grafton. Well-known local Gordon Fraser had been coming to the Grafton winter carnival for 40 years and asked Bennetts to come over and meet local trainer John Shelton. “We had a long yarn and I asked John if I could come over to his stables and give him a hand for no payment. It gives me something to do as I help with the horses and even drive the truck to the races; I go to the stables every day at 5am. “He had good form as a three-year-old in Victoria and ran in some stakes races then lost form, so the owners sold him to Queensland,” Bennetts explained. “John has certainly found the key to him – he’s only had him for 18 starts winning eight races and finishing five placings. “It was an unbelievable day when Belflyer won The Kosciuszko. John went down with the horse on the Wednesday and I went down on the Friday and stayed at my daughter’s place. Belflyer has only raced once since winning The Kosciuszko on October 13, powering to victory at the Sunshine Coast last month. “We all went up to Sunshine Coast where Bernie Cooper presented John and the owners with The Kosciuszko trophy,” Bennetts said. “The horse stayed at Mick Mair’s stables and we walked across the road to the course. “I couldn’t believe his condition before the race – I reckon he was 50% better than when he won The Kosciuszko. He’s a horse you can take anywhere, in fact, he loves to travel. He seems to eat and drink better than when he is at home. “Nothing phases him, he’s a real gentleman. I just wish he was a four-year-old again and not a seven-year-old as he’s never been in better form. 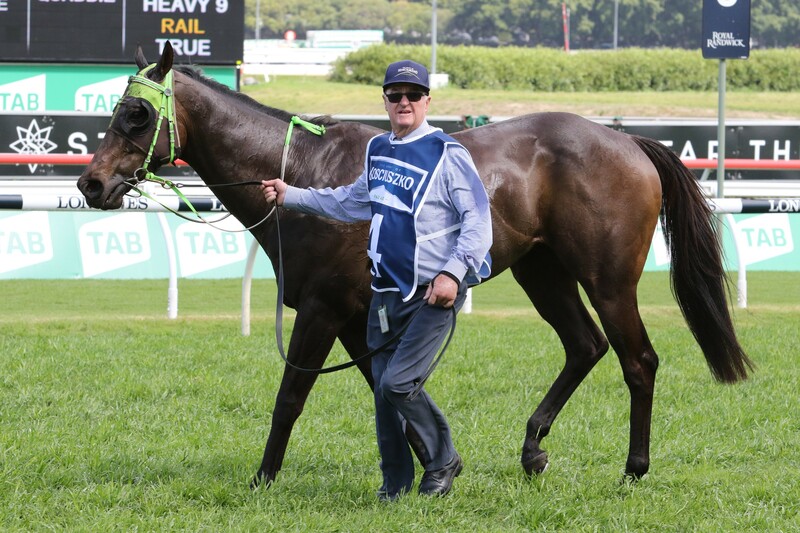 John keeps him fresh all the time and he had six weeks off before running second in the Ramornie, eight weeks before The Kosciuszko and then four weeks before his Sunshine Coast win. Bennetts dabbled into horse ownership a few years back with “moderate luck”. “Eight of us bought few Magic Million yearlings and we had a bit of fun with them at the time. Darshan Joh won 10 races while Ally Echo, Mexican Mountain and Excellero each won three races.